In it’s Inaugural Season, the PG Super25 tournament series saw a total of 2,787 teams competing across the country for National Titles in each of the 9u-17u age divisions. The Super25 Organization of the Year Award was created to reward the clubs who saw the highest level of success at all the Regional, Super Regional, and National Championship events in every age group. 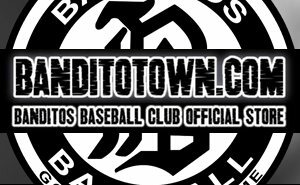 After reviewing all of the tournament results and conducting a staff vote, the Banditos Baseball Club out of Tomball, TX have been named the 2013-2014 PG Super25 Organization of the Year. While there were many other deserving candidates, the number of Regional Championships and the club’s overall winning percentage put the Banditos above the rest of the competition. This impressive showing included three championships for the 14u Banditos Black, who went undefeated through the South Texas Regional, North Texas Regional, and South Super Regional. No matter what event it was, the Banditos organization brought their A-game and the results speak for themselves. Even when the club had multiple teams in the same tournaments, the overall record of 96-25-5 is second to none. The chase for the 2014-2015 Organization of the Year is already underway, as many fall events are scheduled to take place in the upcoming months. More information about the 2015 events, including the National Championship dates and locations, will be announced shortly.